Murad, one of the world's leading brands in make up and skin care will be having a free workshop this Saturday, May 21st, 1pm at the Rustan's Makati Grand Mall area. Facilitating this workshop will be Zaida Takeshita, Murad's leading dermatologist. She will be discussing common skin care concerns, as well as The Science of Cellular Water which is Murad's comprehensive approach to understanding health and aging. Attendees also get to enjoy 15%off on all Murad products on this day. What is a Hybrid? Basically, it is make up that creates a younger look not by disguising the signs but by working at the core. Unlike others that just conceal, Murad's Hybrids depuff, hydrate, minimize pores, balance oil and firm your skin where its needed the most, in just 15 minutes. Hybrids are make up that's good for your skin in a radical way. Don't miss this once in a lifetime opportunity to learn from one of the world's leading dermatologists for free. Save the date,Saturday, May 21st at 1pm. See you all at the Grandmall Area of Rustan's Makati. Bring your moms, daughters, titas, etc. 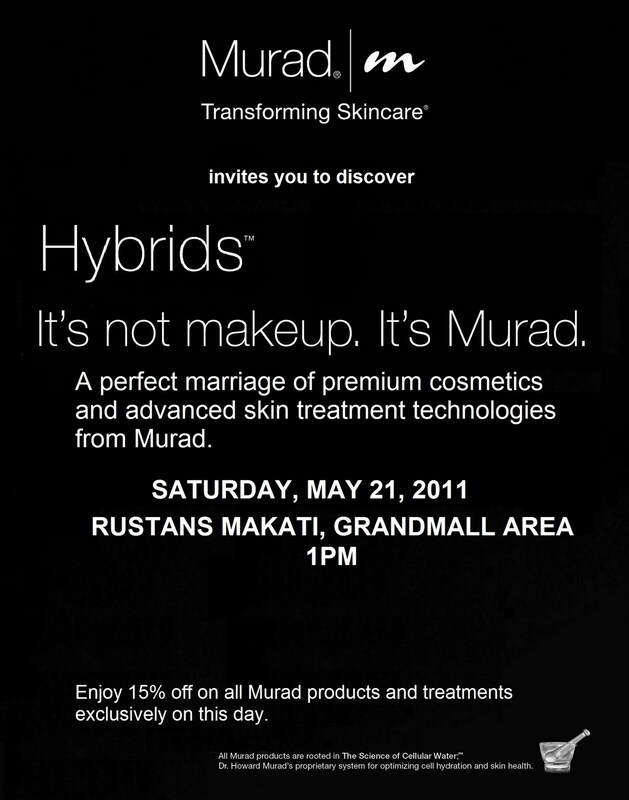 It's free, so take advantage and maybe get yourself your own Murad Hybrid line at 15% off. It's worth it, trust me. Have you joined my Celeteque + Forever21 giveaway yet? Click on the side button for complete details. Have a nice day! 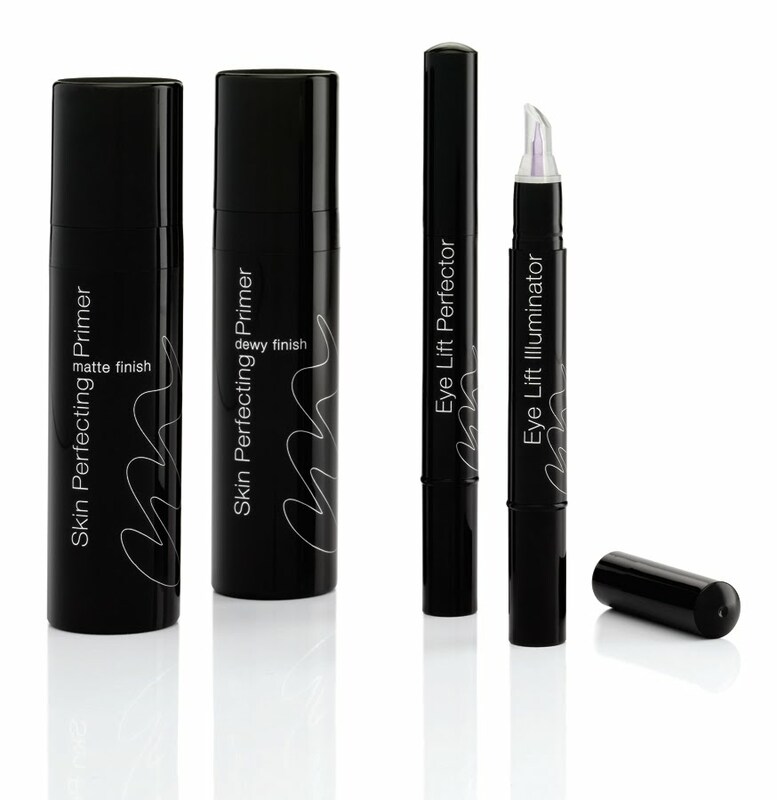 really this products look terrific! 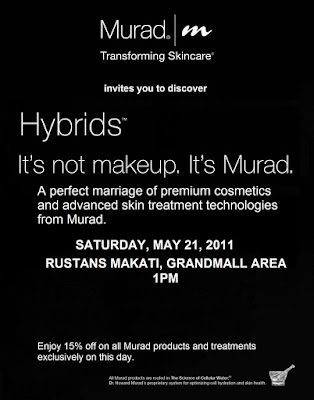 haven't tried any product from murad since it's still not available here in Davao. hopefully it will since I would like to try. I would buy those for you if you gave me $5000.